Stephen’s Niche is back in the Gibraltar Chronicle soon but before starting on the serious stuff, here’s a playlist I created on Spotify that I hope you’ll enjoy. It consists of eleven instrumental rock tracks, mainly from the 70s, that are among my favourites. Below I say something about each one and why they’re meaningful to me. If you enjoy the list, or otherwise, please let me know. Feel free to comment and tell me about your special songs. Acknowledged as one of hard rock’s pioneers and most successful ever bands, Led Zeppelin also had a gentler side. Their classic track Stairway to Heaven showcases both to perfection. Bron-Yr-Aur is off their 1975 double album Physical Graffiti which was critically and popularly acclaimed. 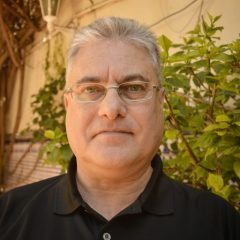 It includes one of Zep’s most popular tracks Kashmir, although my personal favourite is In My Time of Dying – their rendition of a traditional gospel music song. Bron-Yr-Aur was a holiday cottage in Wales where guitarist Jimmy Page and vocalist Robert Plant wrote most of the material for 1971’s Led Zeppelin III although the track never made it onto that album. 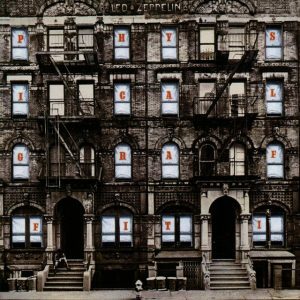 Physical Graffiti is special for me because it was the first Zeppelin album I anticipated: their five previous ones I bought after having already discovered hard rock. My favourite band, bar none. There’s any number of instrumentals I could have chosen but in the end I settled for this excerpt, that I edited as one piece of music, from the band’s breakthrough third album. 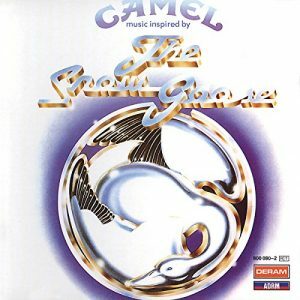 Camel must have had mixed feelings about it because it brought them fame, but they were threatened with legal action for copyright infringement by author Paul Gallico, who had written the novella The Snow Goose. The LP’s name was consequently changed to Music inspired by the Snow Goose. The band’s next album, 1976’s Moonmadness, is the one I’d choose if I could keep just one. It’s hard to believe this track was released nearly half a century ago, it still sounds so fresh and magical. You can just picture the giant seabird winging its way effortlessly across the seas. As a young boy I would play it over in my head to help me get to sleep. Albatross is from the Peter Green, blues-rock era of Fleetwood Mac, before Stevie Nicks and Lindsey Buckingham commercialised the band’s sound culminating in the mega 1977 hit album, Rumours. Green wrote many other wonderful songs. 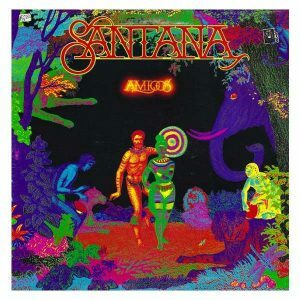 Give Man of the World a spin, or experience the original Black Magic Woman before Santana made it an international hit. A deep cut from their sensational Out of the Blue double LP released in 1977 that spawned four UK top twenty singles including their best-known, Mr Blue Sky. The album is extra special for me because it was a present from my girlfriend, later to become my wife. 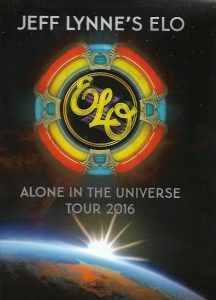 It’s incredible to think that composer Jeff Lynne wrote all 17 songs in ELO’s acknowledged masterpiece in just three and a half weeks! Jeff’s still going strong by the way: I saw him and his band (including long-serving ELO member Richard Tandy) live last year in Manchester when they were touring their latest album. It’s well worth a listen. Another deep cut habitually overlooked due to the popularity of Europa, (Earth’s Cry Heaven’s Smile), the other instrumental on Santana’s 1976 album Amigos. Europa was my favourite track at the time too, not least because we always played it at our weekly school dances when the ‘slows’ started! I feel Take Me With You has aged better though. Stunning keyboards from Tom Coster before Carlos Santana’s guitar takes over. 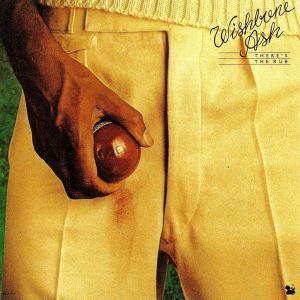 One of the first bands I saw live as an undergraduate student, Wishbone Ash combined elements of progressive rock, folk and even classical music. They were famous for having two lead guitarists, often playing in harmony as on this number which closed their 1974 album There’s the Rub. My two favourite ‘Ash songs, Persephone and Lady Jay are also on this. If you’re wondering, the title of the track on this playlist stands for F****d Up Beyond Belief. Which it is. I love it. 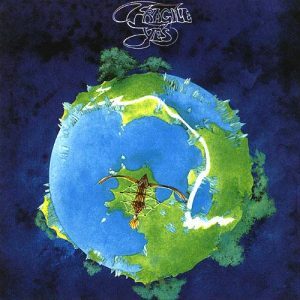 Yes’s fourth album, Fragile, features standout group compositions like Roundabout and Heart of the Sunrise. It also includes solo tracks from each of the band’s five members. Mood for a Day is lead guitarist Steve Howe’s contribution. When I was in school, it was one of the songs (America’s Ventura Highway was another) that my would-be guitarist classmates tried to master. They failed of course. 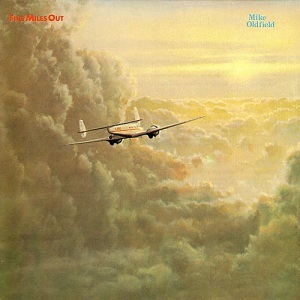 Mention the name Mike Oldfield and most will associate it with his iconic debut album, and first for Richard Branson’s Virgin label, Tubular Bells on which he played almost every instrument. Its haunting opening sequence was used to great effect in horror classic The Exorcist. But there’s much more to this musical genius, as his 26 studio albums so far will attest. Mount Teidi is from his underrated 1982 LP Five Miles Out, one of his best in my humble opinion. As with Camel, there’s loads of instrumentals by Parsons on his own, or as part of The Alan Parsons Project I could have selected for this playlist. In fact, between us, I’ve a compilation I’m happy to share! This particular track is the most recent on this list, appearing in his first solo album Try Anything Once released in 1993. As well as a musician, Alan Parsons is an audio engineer and record producer. He was involved in the recording of such landmark albums as The Beatles’ Abbey Road and Pink Floyd’s Dark Side of the Moon. A T-shirt signed by the maestro himself is among my prized possessions! The masters of heavy metal, imitated but never equalled. Most of their albums had quieter moments, and this is it on 1974’s Sabbath Bloody Sabbath my favourite Sabbath album, and one of my top albums ever. The ‘Masters of Melody’ as these prog giants were dubbed. 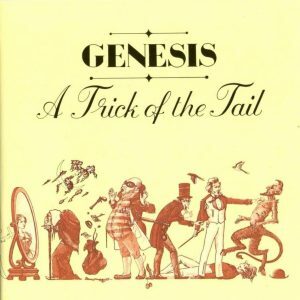 This is off 1976’s A Trick of the Tail, their first album following the departure of frontman and leader Peter Gabriel. With Phil Collins assuming that role the band took a more commercial, radio-friendly direction, but the presence of guitarist Steve Hackett and keyboardist Tony Banks meant the prog influence was still strong, for now at least. I can proudly say I was one of the first people in Gibraltar to own this album. BFBS Radio ran a competition and the prize was A Trick Of The Tail before it had arrived in the shops. The question, actually, was who had taken over as lead vocalist from Gabriel. Rather than just answer it I wrote a history of the band from its inception in 1969 with From Genesis to Revelation. When I went to collect the prize they swore me to secrecy, and said that having read my letter they saw I was a true fan and couldn’t give the LP to anyone else. I hope that, 41 years later, they’ll forgive me for spilling the beans! Do please give me some feedback on whether you like this sort of thing, or prefer that I stick to politics and local affairs. Thanks for reading.